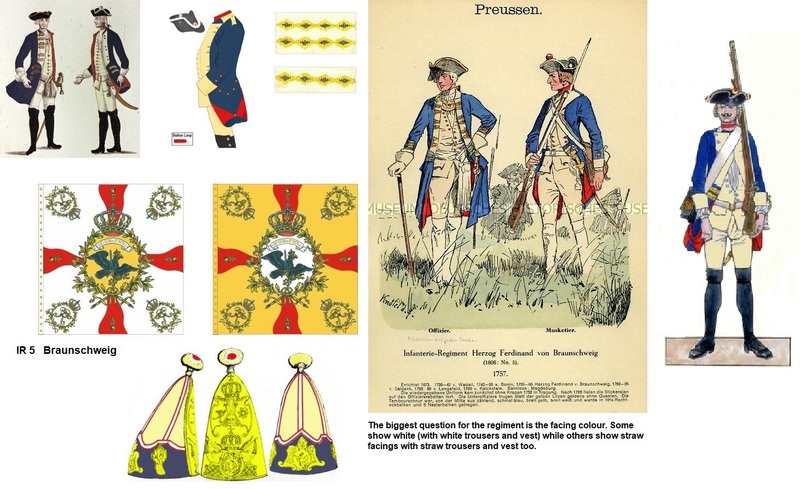 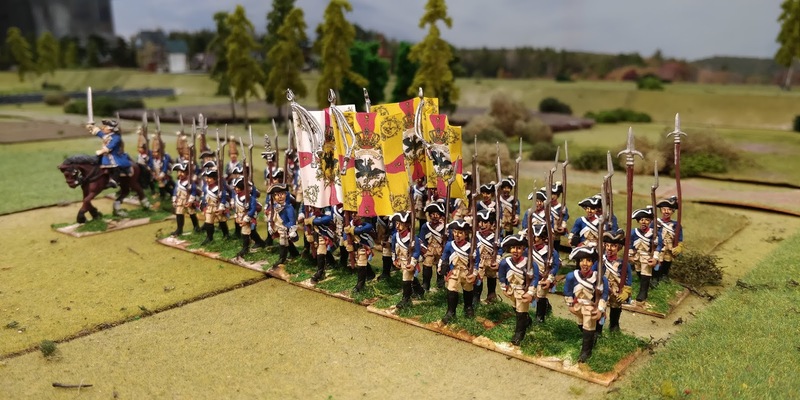 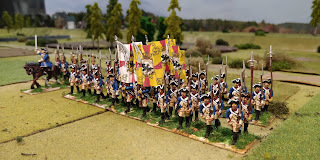 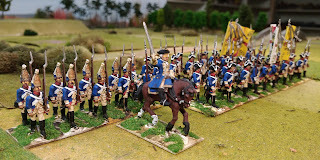 This fine Prussian regiment had Ferdinand of Brunswick as it's Inhaber. 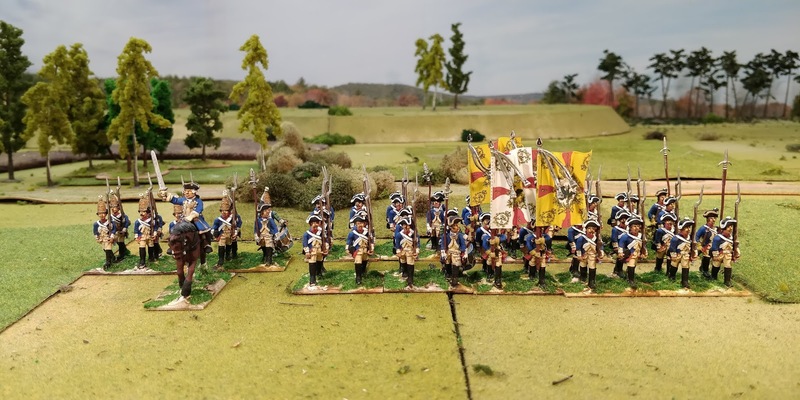 Here are the two battalions of that regiment and it's grenadiers waiting patiently for grenadiers from IR20 regiment to converge with. 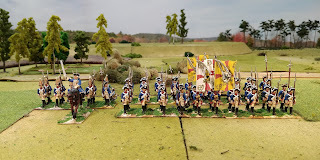 There is some dispute as to whether the facings and small clothes were white or straw but I have gone for the latter as it is rather smarter, to my eye anyway. 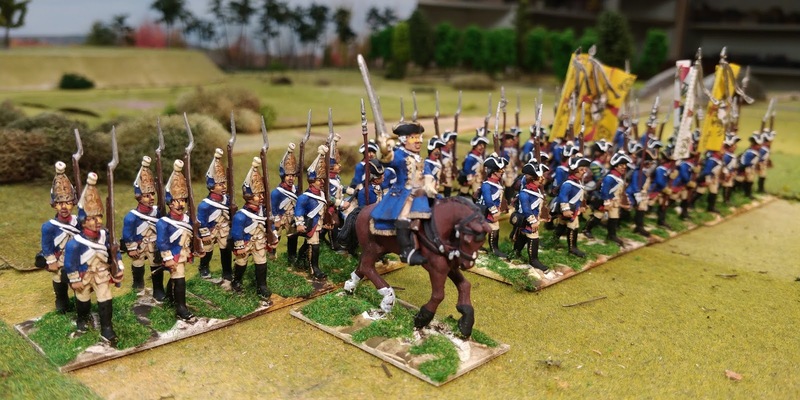 Figures are from Black Hussar although the mounted officer is a Foundry figure.